Use Xamarin.Forms to data bind your UI to both data models and to view models for a Model-View-ViewModel (MVVM) implementation. 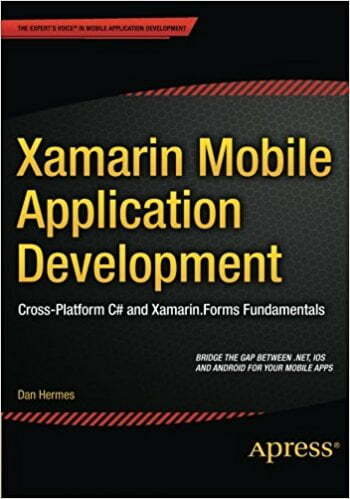 Use this book to answer the important question: Is Xamarin.Forms right for my project? Platform-specific UI is a key concept in cross-platform development, and Xamarin.Android and Xamarin.iOS are the foundation of the Xamarin platform. Xamarin Mobile Application Development will cover how to build an Android app using Xamarin.Android and an iOS app using Xamarin.iOS while sharing a core code library. SQLite is the database-of-choice for many Xamarin developers. This book will explain local data access techniques using SQLite.NET and ADO.NET. Build a mobile data access layer (DAL) using SQLite and weigh your options for web services and enterprise cloud data solutions. This book will show how organize your Xamarin code into a professional-grade application architecture. Explore solution-building techniques from starter-to-enterprise to help you decouple your functional layers, manage your platform-specific code, and share your cross-platform classes for code reuse, testability, and maintainability. Also included are 250+ screenshots on iOS, Android, and Windows Phone and 200+ C# code examples with downloadable C# and XAML versions available from Apress.com. This comprehensive recipe and reference book addresses one of the most important and vexing problems in the software industry today: How do we effectively design and develop cross-platform mobile applications?